Gov Ishaku set to rehabilitate victims of Mambilla crisis. Amb. 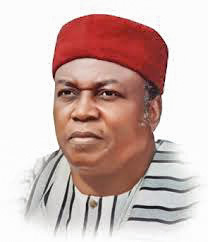 Emmanuel Njiwah, the Chairman of the Assessment Committee set up by the Taraba Government to ascertain the extent of damage caused by the crises on the Mambilla Plateau on Thursday said Gov Darius Ishaku was set to rehabilitate the victims. Njiwah disclosed this while collecting details of the next of kins of all those who lost their lives in the June 2017 and March 2018 crises on the plateau in the presence of the Jauros and Ardos (village chiefs) of the affected communities. The Chairman urged the next of kins to forgive one another and live in peace for the overall development of their communities. Njiwah, a former Nigeria Ambassador to the Republic of Cameroon told the people to shun anything that would breed violence among them so as to give room for development. “I am pleased to inform you that Gov Ishaku is set to rehabilitate the victims of the crises in your various communities.”As you all know the committee as gone round all your communities to assess the extent of damage caused by the crises on the plateau in 2017 and 2018. “We are here to capture the names, photographs and signatures of the rightful next of kins identified by Jauros and Ardos for those who lost their lives in the unfortunate incidences for immediate assistance by the governor.”I urge all of you to eschew violence, forgive one another and live in peace for the common good of everyone on the plateau in respective of tribe,” he said. Alhaji Saidu Bawa, the Wakilin Fulani in the council, who is also a member of the committee commended Gov Ishaku for moving to find lasting solutions to the recurrent crisis on the plateau. Our correspondent reports that it took the 19-member committee 10 days to move round the difficult terrain to assess the level of damage to the affected areas. Some of the areas visited by the committee members include Nyiwa, Bang, Kwarakwara, Bang 3 corner, bang down, Yerimaru, Leme, Ngoroje, Dorofi. Others are Mayo -Ndaga, Mayo- Sena, Yelwa, Mai Samari, Leme-Tella, Leme Mogogo, Hinare, Dembe among others. Breaking :Numan/Demsa Killings: A Ploy to Discredit Bindow in 2019.